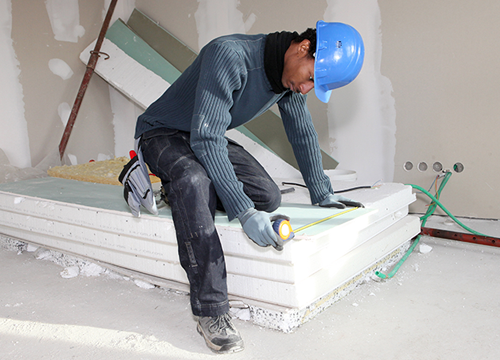 Purchase all of the drywall products you need for your construction projects from Wallboard Stockers Inc. We carry a wide variety of materials at flexible prices for builders, contractors, and individuals. Our friendly team offers direct shipping, scatter stock, and fast drywall delivery using flatbed trucks. We strive to make your buying experience hassle free by not pushing extra products on you or charging an additional fee if you accidentally miscounted on your initial order. Call for a free estimate on drywall materials. The mission of our woman-owned, family-operated company in Houston is to supply drywall products quickly, safely, and affordably in order to enhance the efficiency of contractors. In business for over 25 years, we won't make you wait for the materials you require now to complete projects. All jobs are also overseen by our OSHA-approved safety coordinator, and we take care of any problems right away for customer satisfaction. Wallboard Stockers Inc believes in giving back to the community. We have donated drywall to Hope Cancer Retreat, and partnered with many blood banks, cancer organizations, and kid-related charities. If you'd like to know more about how we participate in the community or have any questions about our products, please don't hesitate to get in touch with us. Rest assured, we do not share or sell your information to third-party associations or anyone else without your permission. All of your information is kept strictly confidential.